Special beach camera is good choice when going on a beach holiday. Their design makes them withstand sand and water, so you can snap away without having to worry about possible damage to your camera. 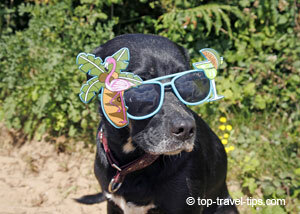 Our cool beach dog - Tess! The best thing is that good waterproof cameras, suitable for day at the beach, are not so expensive anymore. You can of course buy expensive equipment, but unless you are serious photographer, then you do not need that. Cheaper cameras, often with video capability, will do the job, i.e. enable you to take fun beach and underwater photos. We have selected few we think are great value for money. Sand and moisture can easily wreak your camera. If you own an expensive camera, or even just a normal pocket camera, you should avoid taking it to the beach. Sand quickly gets into knobs, dials, and seams in the camera bodies and it is almost impossible to get it out again. Moisture and water will ruin your camera as well. Special beach camera is the answer, something not too expensive, but sturdy and easy to use. These cameras are waterproof and you can even use them to take digital photos underwater. 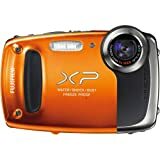 The FujiFilm Waterproof Cameras are good choice if you are looking for a medium priced waterproof camera. They are built with roughness in mind, so it can withstand sand, water, and even frost conditions. They have built in image stabilization function that will reduce blurry pictures. Many models have tracking focus which will enable you to take better pictures of moving objects. A cheaper option is to buy the Waterproof 18MP Digital Video Recorder/Camera . This camera has all the basic digital camera functions, like face recognition, scene selection like landscape, night, backlight, etc. With this camera you can take underwater photos of up to 10ft depth. This is a small but yet handy little camera that is perfect for beach photography. You might not only want to take photos at the beach, you might want to capture those fun beach moments on video as well. There are often funny things that happen on the beach and you could earn some additional cash by capturing and posting them on YouTube or on “You've been framed” TV shows... or just for you to relive those beach fun moments. 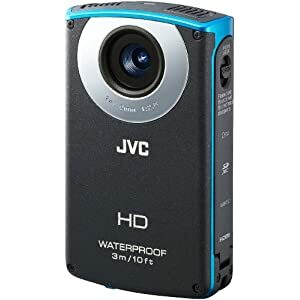 This JVC Picsio GC-WP10 Waterproof Pocket Video Camera not only allows you to take sharp digital photos, it also allows you to take great video images as well... and not only on the beach. This beach camcorder / camera is fully waterproof so you can take it in the sea with you when snorkeling, diving or surfing. Listening to good music is always fun and relaxing and it has never been easier to travel with the music of your choice. MP players are the obvious choice when travelling; they are light, compact, and available in all price ranges. 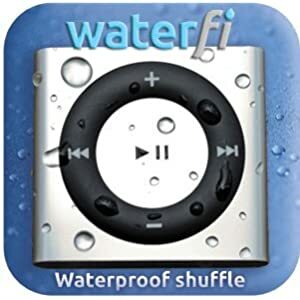 We think this stylish Waterfi Waterproof iPod Shuffle is ideal for any beach vacation. Enjoy clear audio up to ten meters in depth while diving on your adventures in the sea, or when just chilling in your swimming pool. Beach fun or what? 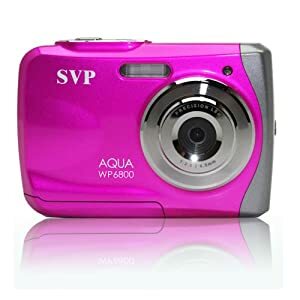 If you are not ready to splash out on waterproof gadgets, then you might want to buy Waterproof Camera Bag for your beach camera, phone, and/or MP3 player. They will help protecting your vulnerable equipments from the sand and moisture. Furthermore, thieves frequently operate at beaches because people often leave their non-waterproof items behind when going into the sea. With a waterproof camera bag, you can take your non-waterproof items with you when you want dip your toes in the sea. 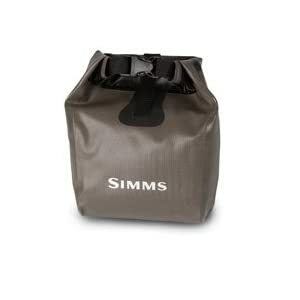 You can find more information about Waterproof Camera Bags here at Top Travel Tips.